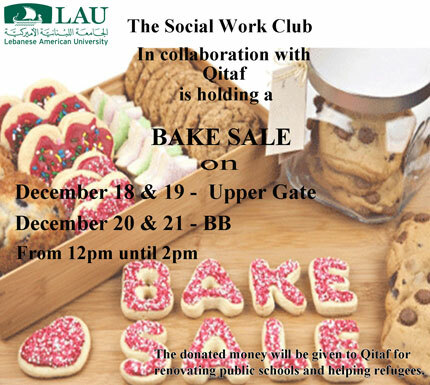 In collaboration with Qitaf, the Social Work Club at LAU is organizing a Bake Sale event. the event will take place on December 18 and 19 at the upper gate, and on December 20 and 21 in the Business Building. The donated money will be given to Qitaf for the renovation of public schools and helping refugees.